Gallery owners Kevin and Sara Tomson-Hooper are ready to cut the ribbon during the grand opening of the Artisans Village Art Gallery Friday night. They are surrounded by a host of smiling artists and community members. 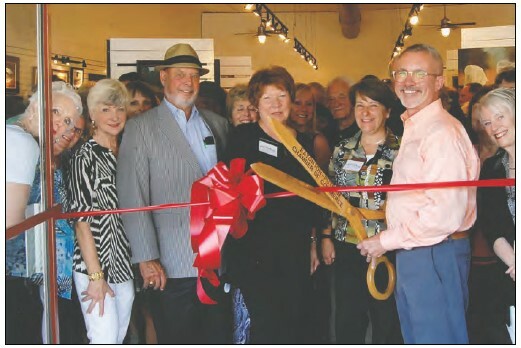 About 250 people attended the ribbon cutting and open house of the Artisans Village Art Gallery Friday evening. 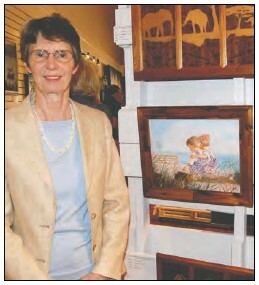 The retail gallery was opened by Kevin and Sara Tomson-Hooper of Eatonton for the Artisans Village Art Guild. 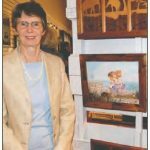 Sheryl Lott has a small exhibit of oil paintings offered for sale at the gallery. All proceeds from all sales go to the Artisans Village capital fund. 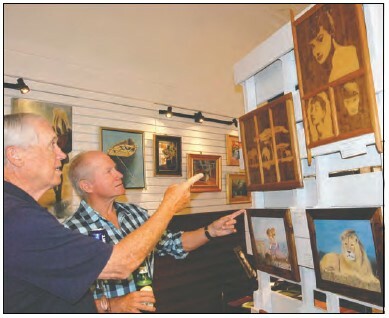 The exhibits feature works of all media and styles by artists who live in and around Putnam County. 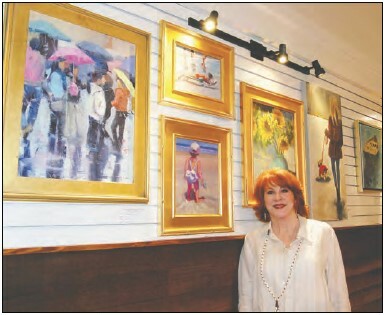 “I’m proud as a new parent,” artist Gail Vail said of the gallery. Steve Hicks and Bill Dudley notice the intricate detail of Thomas K. McIntire’s carved wood under epoxy pieces. 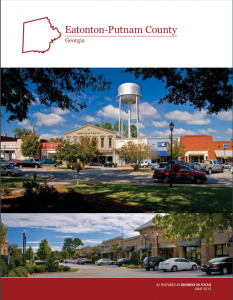 The gallery, located at 110 West Marion Street, Eatonton, on the courthouse square, is open 11 a.m. until 6 p.m. Thursday, Friday and Saturday each week.